I was very happy when Pink Magazine selected me for the cover of their December 2014 and 2016 Christmas issues! Pink is a great magazine that celebrates women and the people and things they love. It is a magazine about women, for women, and that empowers women. I was very humbled and honored by the opportunity. 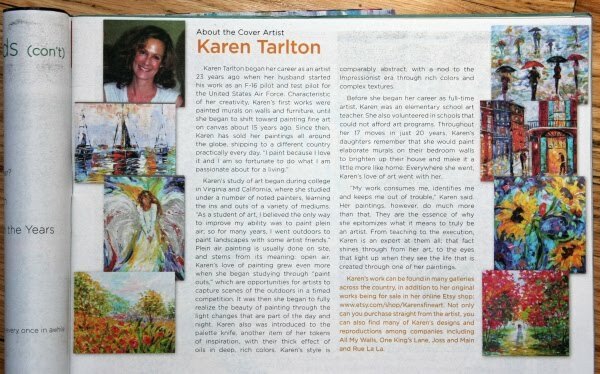 I was very happy when Art Business News Magazine selected me as an Emerging Artist in their September 2009 issue! ABN is my favorite art magazine. 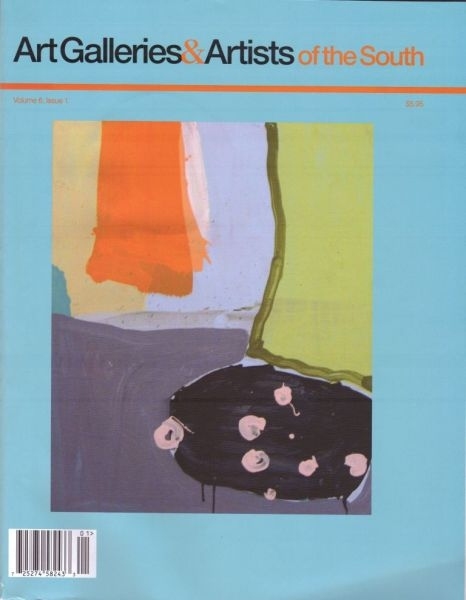 I read it cover to cover every month to keep on top of the latest trends in the art industry. I was very happy to see my work mentioned in the January / February Issue of Southern Lady Magazine! A special thanks to the client who read the article and pointed it out to me! 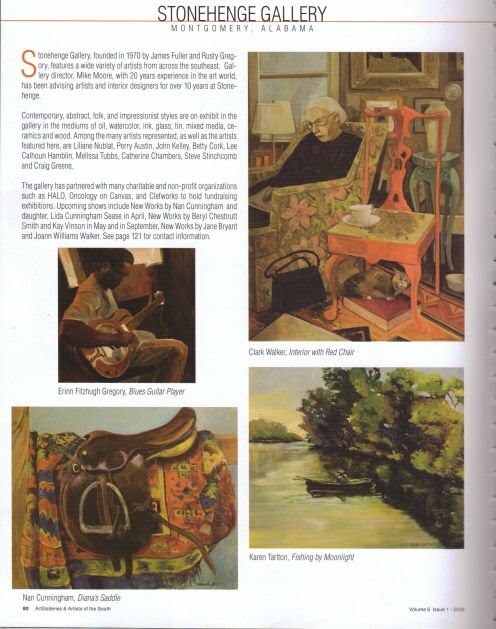 I was very happy to see my work mentioned in Art Galleries & Artists of the South! I love the South with its vibrant art scene and being featured was both a surprise and honor! * May 2012 Selected Artist in the Festival Walk Art show in Hong Kong. * Summer 2012 Artwork selected for Album Cover for Recording Artist Tom Dearing. * Feb 2013 Signed for Spring Romance painting with American Greeting Cards. * 2013 Licensed artwork with AFrame Audio speakers. * 2013 Licensed with Dianoche Designs illuminated wall art and home accessories.